Hard Hat Tour This Weekend! Start planning your weekend early! 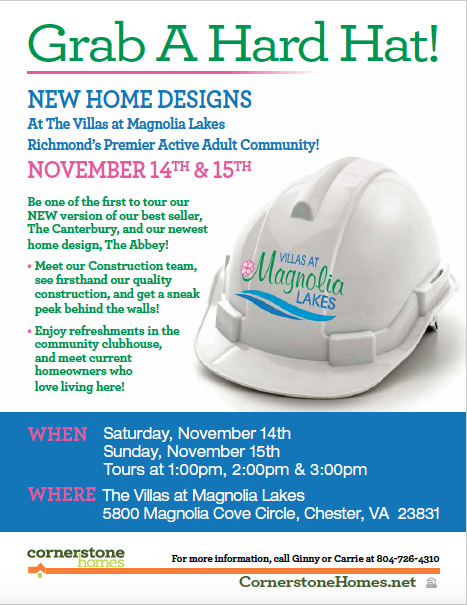 Grab a hard hat and take a tour of our NEW floorplans at The Villas at Magnolia Lakes! Enjoy refreshments and meet your future neighbors! On Saturday November 14th & Sunday 15th, tours will be going on at 1 p.m., 2 p.m. and 3 p.m.